“The Supreme Court dealt a critical blow to President Obama’s immigration policies on Thursday, deadlocking in a 4-4 decision over two controversial programs the White House wants to implement. This is the most prominent Supreme Court case to stall in a 4-4 tie, and it raises the stakes further in this fall’s presidential election. But Senate Republicans, even before that nomination, said they would not hold a vote or a hearing for anyone nominated by Obama, arguing the pivotal vote on the high court should be determined by the next president. The White House and Democrats in Congress have howled in rage over that move, and Thursday’s decision will increase tensions over the Senate blockade. Obama in an appearance from the White House press briefing room decried what he called the “lack” of a decision by the eight-justice court. “The fact the Supreme Court wasn’t able to issue a decision today doesn’t just set the system back even further, it takes us further back from the country we want to be,” he said. Democratic Party standard-bearer Hillary Clinton has backed the president’s actions and said she would go even further as president to reshape immigration policy. “Today’s deadlocked decision from the Supreme Court is unacceptable, and shows us all just how high the stakes are in this election,” she said in a statement. Presumptive Republican nominee Donald Trump has pledged to place tough new restrictions on illegal immigration, including the construction of a massive wall along the U.S.’s southern border that he says Mexico will pay for. Republicans hailed the high court’s vote. Thursday’s action does not affect the original DACA decision by Obama that allows certain children who entered or stayed in the United States illegally to remain in the country and apply for work permits. Twenty-six Republican-led states sued the federal government over the expansion of that program, as well as the new program for parents, after the president issued fresh executive actions in November 2014. The states claimed they would be burdened by having to spend more on public services like healthcare, law enforcement and education if undocumented parents of both American citizens and legal permanent residents were allowed to stay in the country. Speaking shortly after the Supreme Court’s immigration decision, President Obama made it “very clear” that deporting illegal immigrants is not a priority of his administration. – Apparently, 2008 presidential candidate Obama agrees with 2016 Supreme Court decision. “A federal appeals court said President Obama’s own words claiming powers to “change the law” were part of the reason it struck down his deportation amnesty, in a ruling late Monday that reaffirmed the president must carry out laws and doesn’t have blanket powers to waive them. 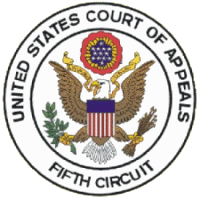 The United States Court of Appeals for the Fifth Circuit has ruled that President Barack Obama violated the Constitution in order unilateral changes to immigration laws in the latest such ruling against executive overreach by the President. The President’s own words were used by the panel to rule that he intended to unilaterally change the law. Some 26 states sued to stop the amnesty as violative of the Immigration and Nationality Act. President Obama ordered Deferred Action for Parental Arrivals, or DAPA, to grant up to 5 million illegal immigrants a proactive three-year stay of deportation and to give them work permits. To qualify, illegal immigrants had to be parents of U.S. citizens or legal permanent resident children. unlawfully present aliens. Though revocable, that change in designation would trigger (as we have already explained) eligibility for federal benefits—for example, under title II and XVIII of the Social Security Act99—and state benefits—for example, driver’s licenses and unemployment insurance—that would not otherwise be available to illegal aliens. I testified (here and here and here) and wrote a column on President Obama’s increasing circumvention of Congress in negating or suspending U.S. laws. I ran another column listing such incidents of executive over-reach. My prior testimony has discussed unilateral actions in the immigration field that do raise separation issues.